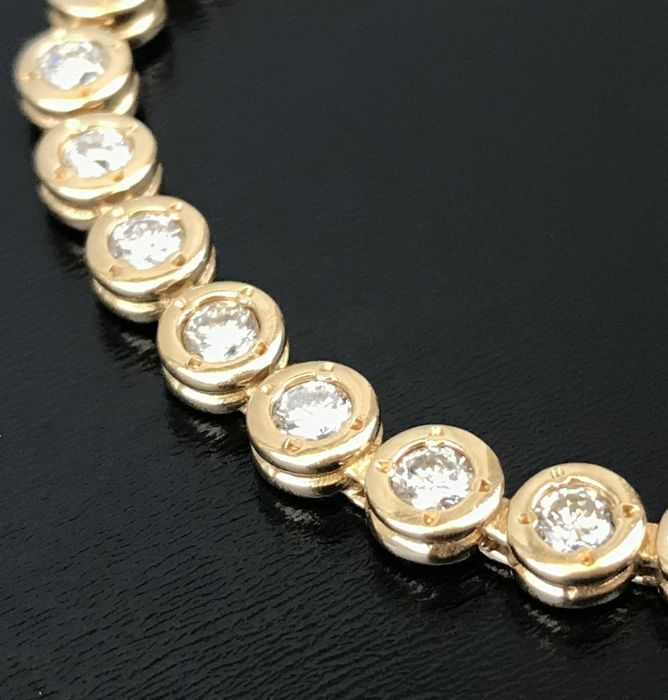 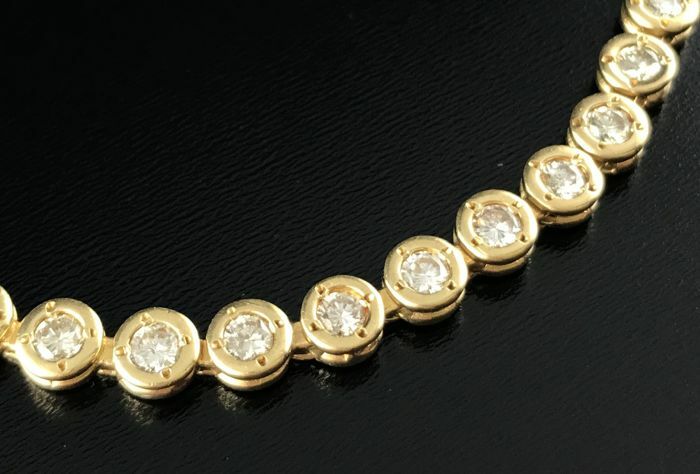 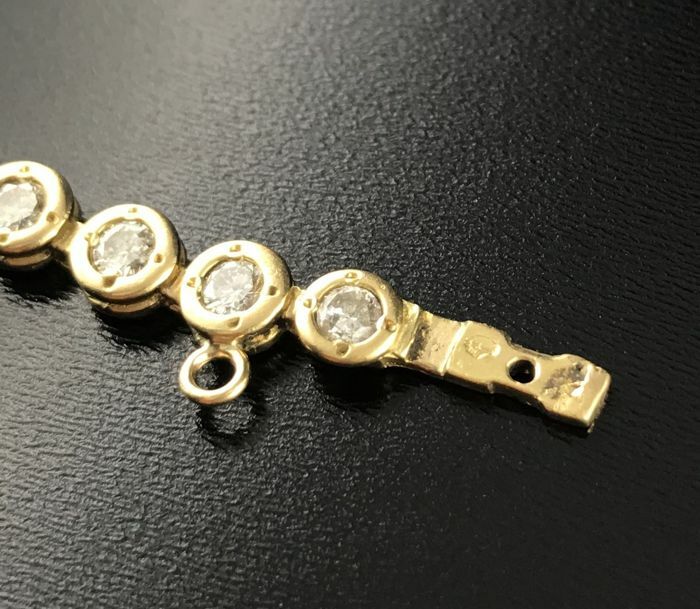 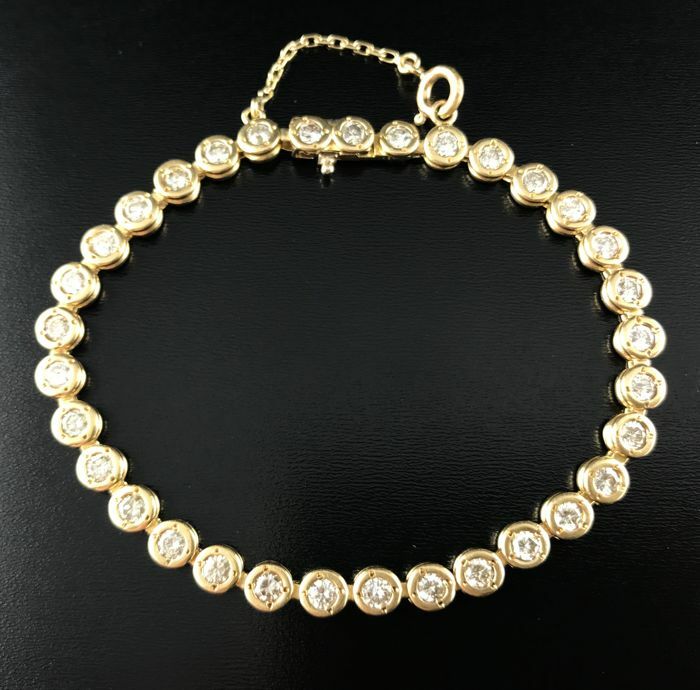 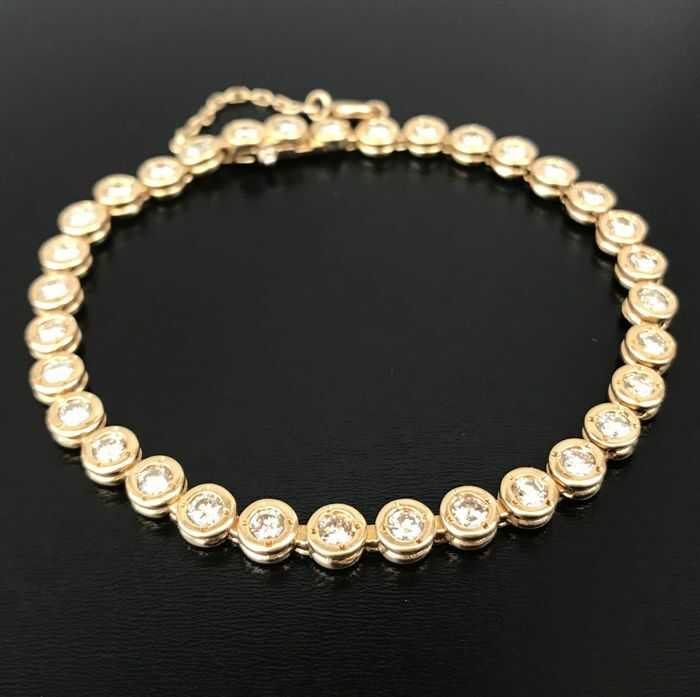 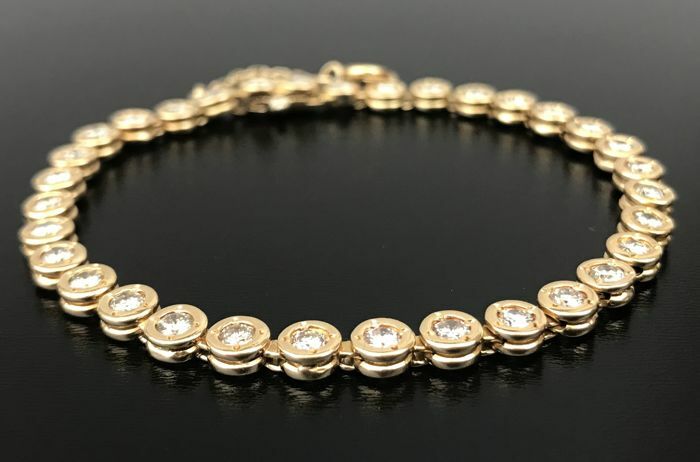 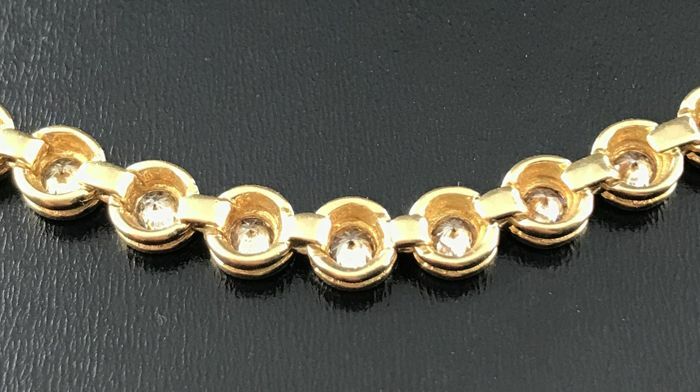 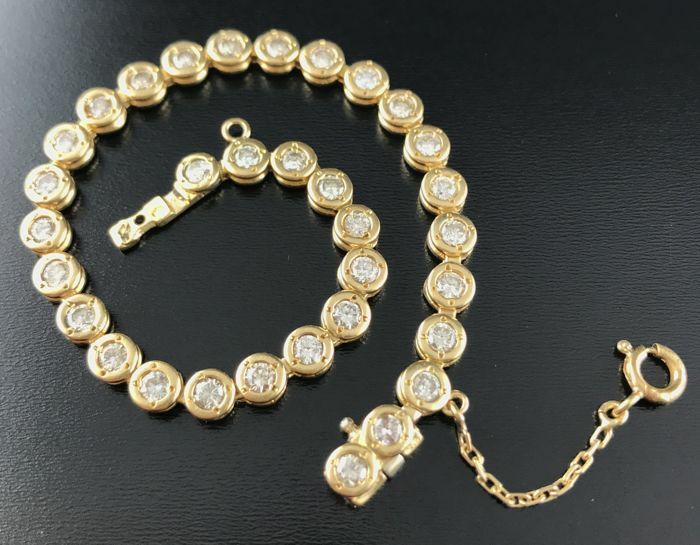 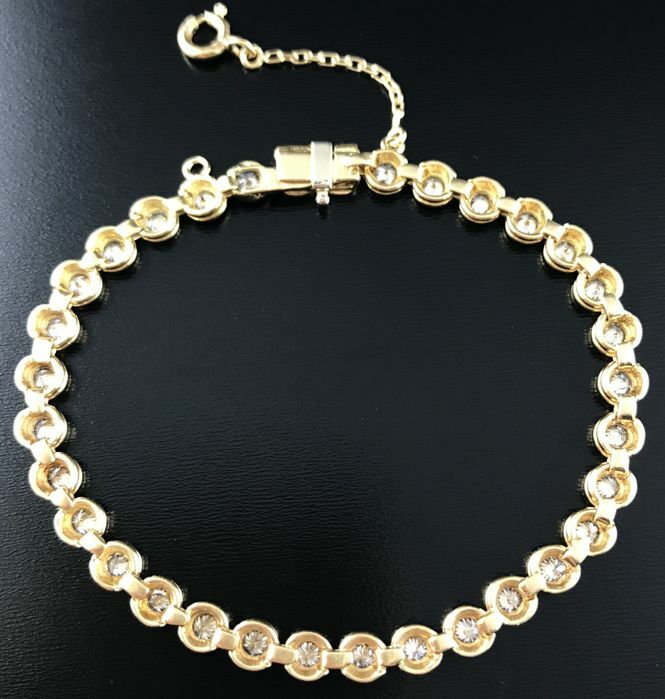 Luxurious tennis bracelet in 18 kt yellow gold with 3.3 ct of diamonds. 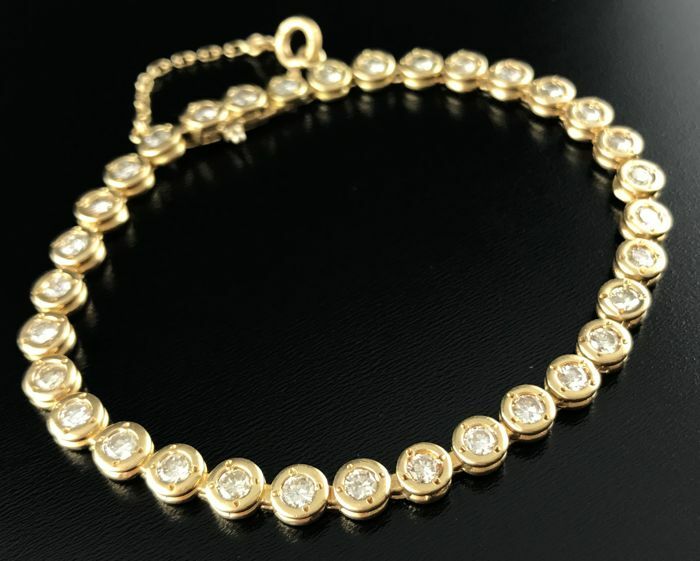 Round links and clasp decorated with 33 luminous brilliant-cut diamonds in a closed setting. 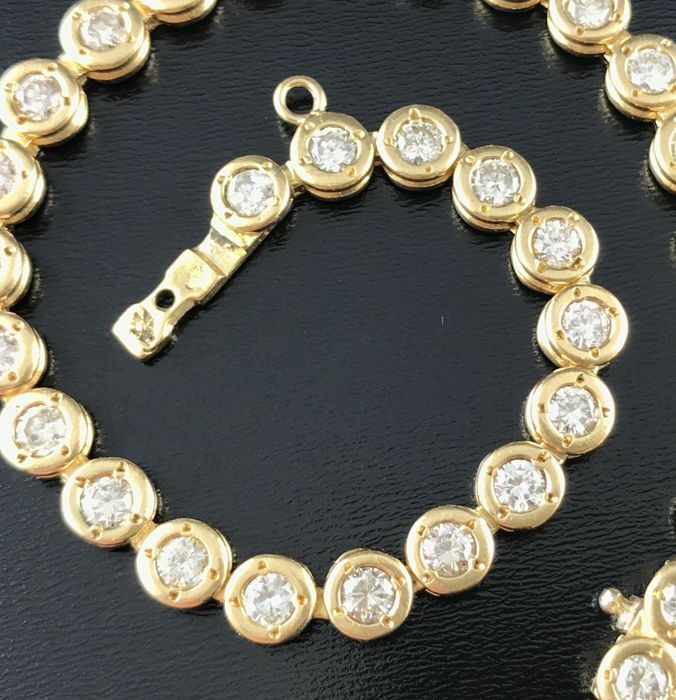 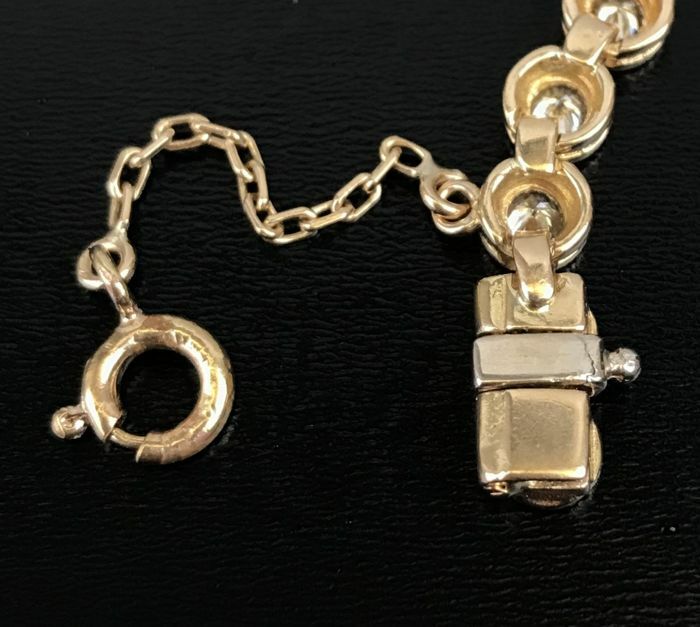 Concealed click clasp with safety chain. 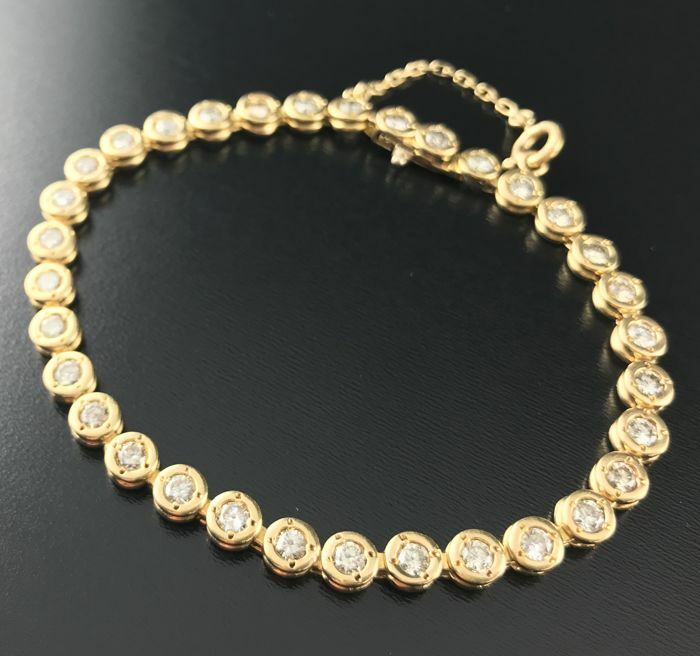 Fast and careful shipping via registered and insured parcel post, with tracking.